Somatic embryogenesis (SE) is a unique process by means of which a vegetative/somatic plant cell transforms into an embryo. This in vitro embryogeny has immense fundamental and practical applications. The SE process is complex and is controlled by a variety of external and internal triggers. 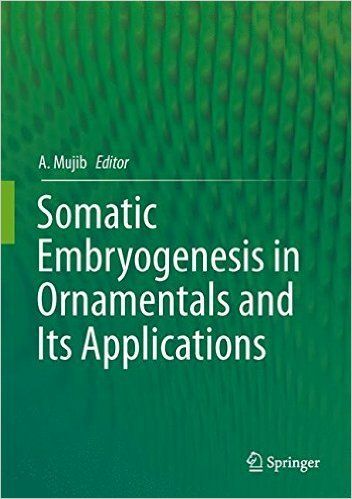 This book compiles the latest advances in embryogenesis research on ornamentals and discusses the importance of embryogenic cultures/tissues in raising transgenic crops. The technique of cryopreservation in the protection of ornamental genetic resources is discussed using embryogenic culture/embryo as the tissue of choice, and the respective roles of the genotype, plant growth regulator, environment and other regulating factors in embryogenesis are discussed. The book also focuses on comparative biochemical and physiological differences during the acquisition and development of embryos. The importance of plant proteome and functional genomics as a source of markers is highlighted, and special attention is paid to genes / gene homologues (SERC) in characterizing embryogenesis. Lastly, the book examines the involvement of auxin polar transport and other molecular networks regulating gene expression.